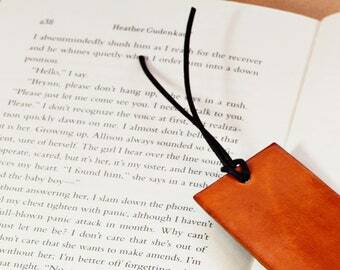 Easily find the page!! 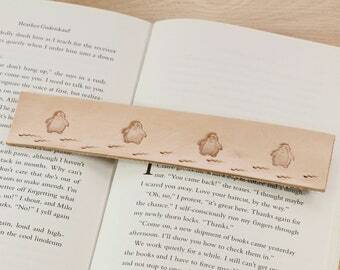 This cute Owl bookmark could make a really practical gift which will be treasured for years. 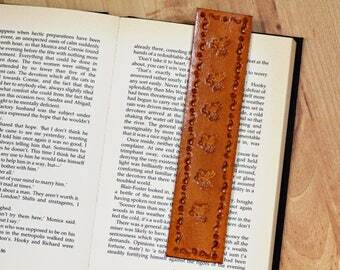 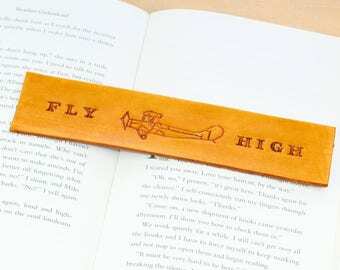 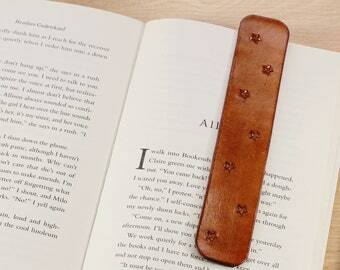 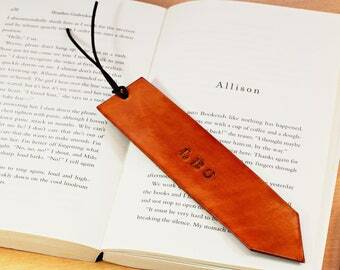 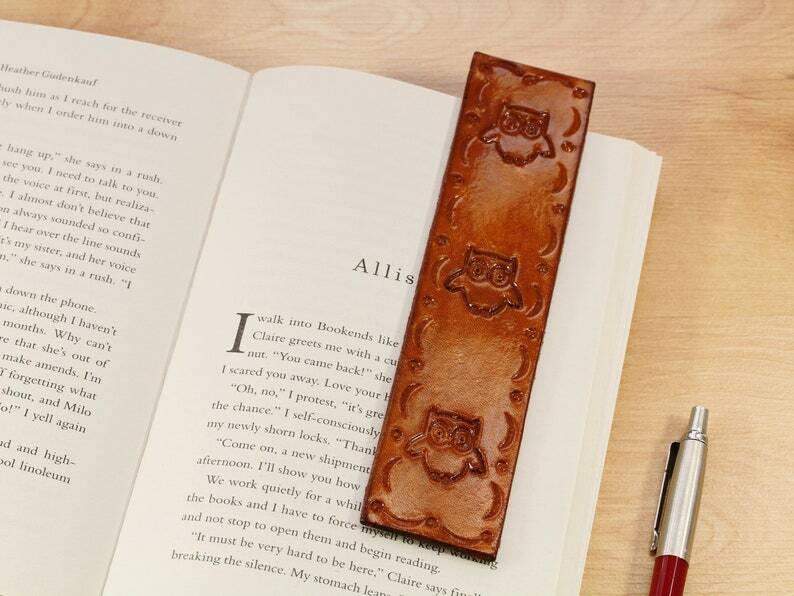 This leather bookmark is handmade from premium leather and has three hand stamped owls and a hand tooled border. 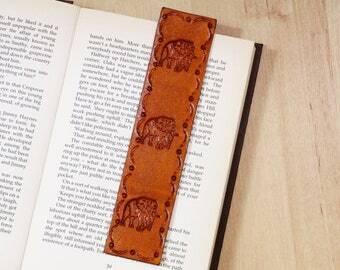 I have hand dyed this leather bookmark brown on the front and on the reverse. 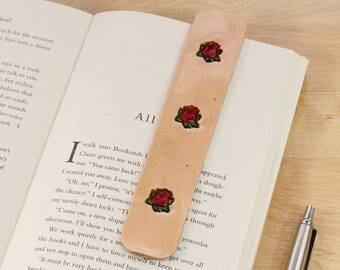 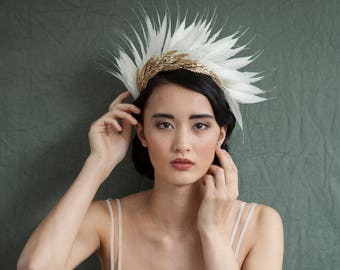 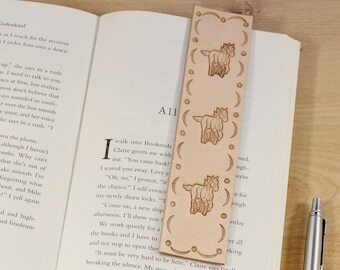 Another happy customer left a review for the Dream bookmark saying: "Gorgeous quality and design. 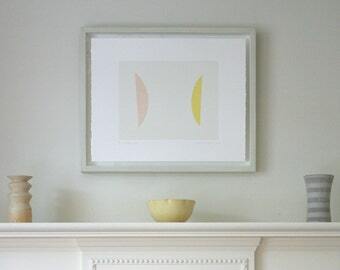 Hand-written note from the seller adds a brilliant personal touch". 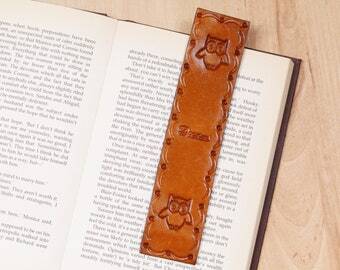 These leather book marks make a great present for any owl lover. 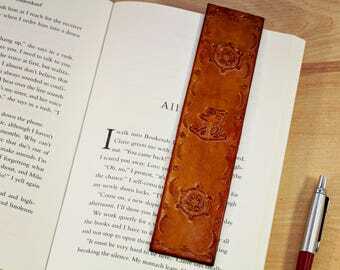 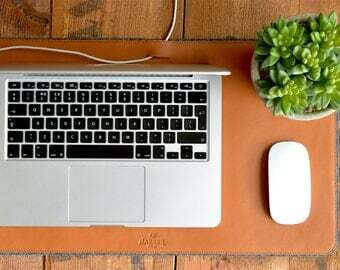 Lovely smell, feel and unique charm of premium quality leather. 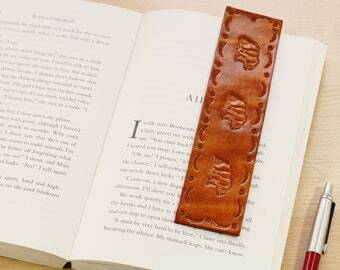 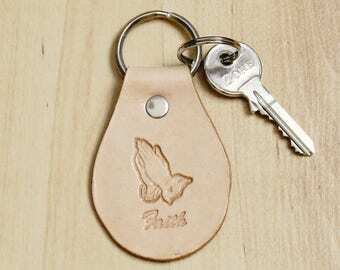 Leather cut by hand and hand-tooled and hand-stamped. 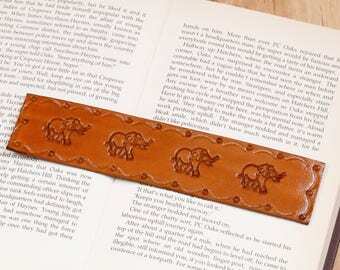 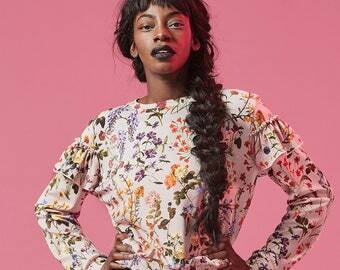 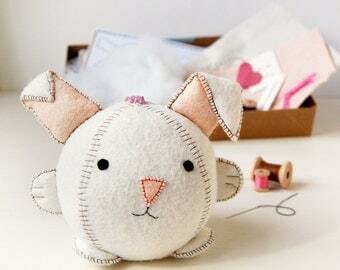 Length approximately 6.75 inches (17.3 cm). 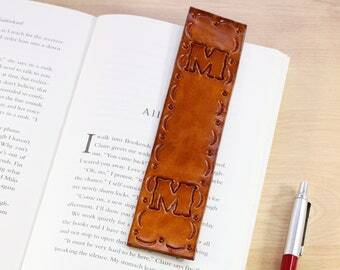 Width approximately 1.5 inches (3.9 cm).